It's true: You can buy Crucial products almost anywhere. But it's also true that Crucial.com has consistently been home to one of the most customer-friendly deals around: affordable pricing and big time extras. Here are ten intangibles you won't find anywhere else. #1: The widest possible selection of upgrades. With over 250,000 upgrades for more than 50,000 systems, both old and new, home and business, we've got an upgrade that's designed to work best with your system's specs. Find compatible memory for your system in just a few clicks using our Crucial System Scanner or Crucial Memory Advisor™ tool. In our 15-plus years of system analysis, we've built one of the world's most comprehensive compatibility databases and we use it to recommend the best upgrades for your system. 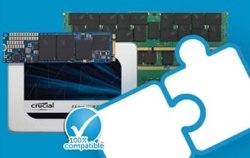 Our recommendations are unique to Crucial.com and we recommend memory that will work best with your system's specs and installed memory. Not all types, densities, and speeds of memory work well together when combined, and we take this into account. We want your computer to perform at its best! #3: Guaranteed compatibility — or your money back. When you use our online tools and order from Crucial.com, we guarantee complete compatibility or we'll refund your purchase within 45 days. Through our online tools, we've helped over 2 million systems identify compatible upgrades and we're confident enough in our tools that we'll offer a full compatibility refund — no questions asked. #4: Get more out of your Crucial SSD. The Crucial Storage Executive — a free downloadable tool — enables your Crucial SSD to become even faster and allows it to get periodic updates so it’s constantly performing at its best. With Storage Executive, you can see how much storage (GB) you’ve used, download the latest firmware, monitor the drive’s temperature, reset your encryption password, and enable the Momentum Cache feature, which makes many SSD operations up to 10x faster. #5: Fast and free shipping. With free shipping in most regions, fast turnaround, and trackable orders, our shipping team works around the clock to ensure that you get your order as soon as possible. To us, your computer's performance level is critical and we will go out of our way to ensure that it arrives on time. #6: Open door return policy. Have a problem with a product you purchased on Crucial.com? Give us a call toll free and we'll work out a return. For up to 45 days, you can return your product and get a full refund — for any reason. In contrast, other online retailers typically offer only a 20-30 day return policy — with strings attached. When you shop at Crucial.com, enjoy peace of mind knowing that you'll have more time to evaluate the effectiveness of your purchase because you can return it for any reason, no questions asked. #7: Customer service that goes above and beyond the norm. For twelve straight years we've won Bizrate's Circle of Excellence Platinum Award as one of the best online retailers. While the awards are great, what we're really excited about is offering exceptional customer service that extends far beyond the checkout line. #8: Free, friendly, and understandable tech support. At Crucial.com, we know that making a call to tech support can often be one of the most frustrating experiences. That's why we only hire relatable and understandable tech support specialists. If you buy from Crucial.com, you'll notice the difference! #9: Loads of additional content. With free install videos, step-by-step guides, online forums, and an exhaustive library of articles, Crucial.com hosts one of the industry's most complete memory and storage content libraries. Whether you're looking for tips on how to optimize the performance of your SSD or for the difference between SPD and validated timings on memory modules, we can answer almost any question, any time. #10: Micron quality and expertise. When you order on Crucial.com, you're ordering from the same company that designed, refined, tested, manufactured, and shipped the memory that likely came preinstalled in your system. 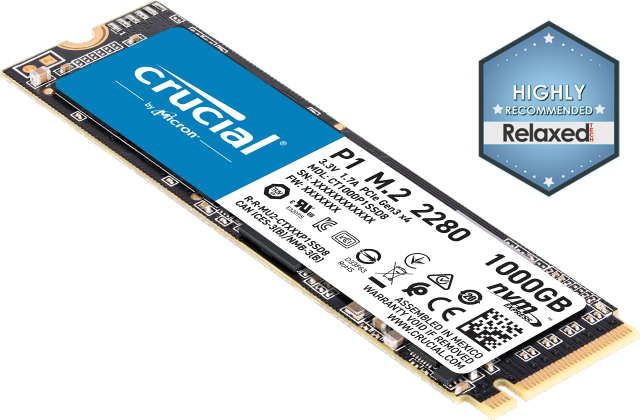 Since Crucial is a brand of Micron, one of the largest memory and flash storage manufacturers in the world, we know our products (and your system) inside and out, and we're able to offer an unparalleled level of expertise. When you buy direct, take advantage of the same quality and expertise that computer manufacturers rely on. Any website can list a part, but not all of them can understand it and optimize it for your system. That's what we do best, and that's why we'd love the opportunity to get your system performing at its best.